This Demonstration illustrates contagion in two different types of networks, a grid and a random network. In both types, one individual among 400 is infected. At each step, all the contacts of an infected individual become infected. 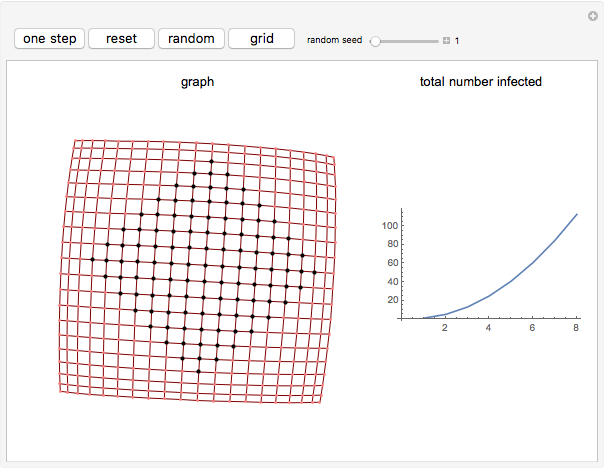 There are an equal number of edges in the grid and the random graph. 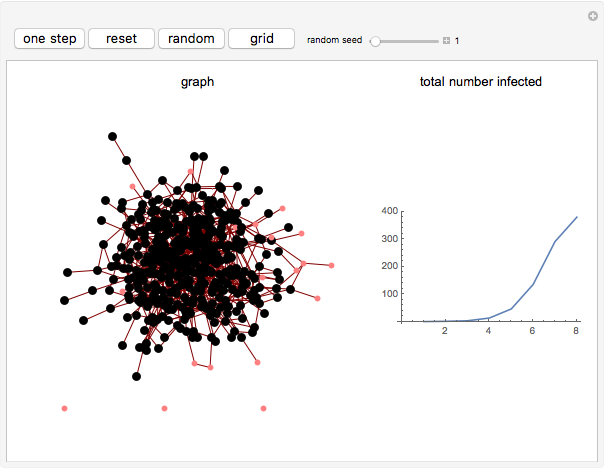 Plots show the total number infected and the number of newly infected at each stage. Use the "reset" button to reset to the initial conditions. Phillip Bonacich "Contagion in a Grid and a Random Network"